«After some generic and proximity, let’s say ‘audible’, works, Rui Gato returns with a piece divided into three movements. We ask that you do a complete listen of this EP, not because of commercial reasons – we don’t ask for money – or even of aesthetic imposition ones, but quite simply because of the Deleuzian way in which 'Chaosmos EP' is presented. ‘M1’ is nothing more than a landscape of silence, without self-imposed forms. It’s the beginning of the order in itself; it’s this un-organized state, the ‘absolute zero’ from where the whole piece starts evolving. ‘M2 Extended’ assures us that the order is not universal and pummels us to and from distinctive elements in its formal composition. ‘M3 Final’ is the end, the finish line, a proliferation of material signs that illuminates its unformed character, and even manages to approach chaos. A chaos of image/fragment/fracture/remain. 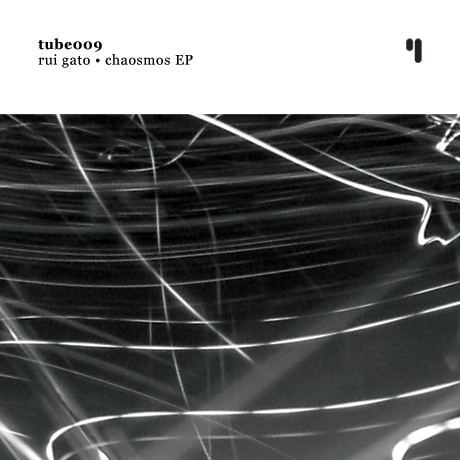 «Rui Gato - Chaosmos, released on Test Tube, is a collection of three tracks originally intended for an art venue last year. Each track adds to the complexity of the previous, making the first feel somehow pure. It’s as if the cosmos Gato is describing is awakening gently out of innocence, rather than a climatic big bang. 'M1' has hidden depths that reveal themselves at louder volumes; there’s subtitles in the reverberations in the background, so that the distracting drone belies the complexity of the piece. Gradually, Gato introduces changes to the drone which appear to indicate a climax but then are rudely interrupted by the transition to 'M2 Extended'. M2, with its ice-like sounds and bubbling parodies of strings that change chords in quite a lively manner, is very different from M1. For some reason, the complimentary sounds in M2 sound as if the laws of physics are being defied. 'M3 Final' crunches its way through several iterations, adding new elements, until it evens out into a house/dub-like progression. Gato uses effects here, mangling and filtering the sounds artfully, until there’s space to develop the harmonies more fully towards the end. Despite each track being quite different, the description on Test Tube urges us to contemplate the entire EP as a whole. I found this release by accident on archive.org, but I’m enjoying it immensely and it’s urged me to listen to Rui Gato’s CD, 'Elastic Void'.